Welcome to Aluminum City, Clairemont's trusted provider for long-lasting and low-maintenance patio covers, window coverings/awnings, door hoods, carports, and sunrooms. Founded in 1963, we are a locally owned and owner-operated business based in San Diego, California. 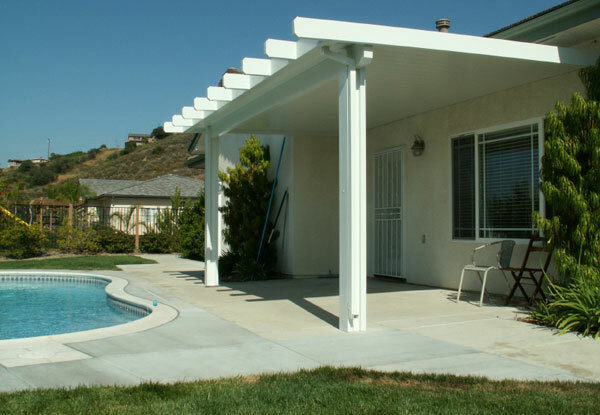 Our services include patio cover design, sales, installation, replacement, and we've served thousands of homeowners and businesses throughout Southern California. Because we perform all of our own work (each sale and installation is personally made by the owners themselves), we are able to provide our clients with the highest-quality aluminum products at affordable and highly competitive prices. That we receive one-third of our business through the referrals of satisfied past customers is a testament to our exceptional service, workmanship, and expertise. At Aluminum City, our goal is to provide each of our Clairemont clients with a personalized and collaborative experience. 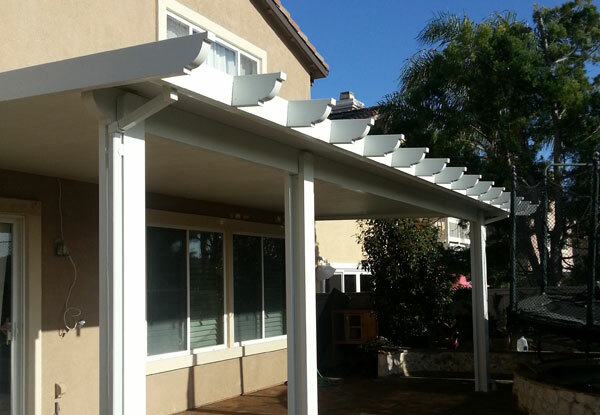 With over thirty years of experience each in the patio covers and awnings industry, our owners take great pride in their ability to install aluminum products of superior quality that will improve and enhance residential and commercial properties in Clairemont for decades to come. We're open seven days a week, from 7 a.m. to 10 p.m., and our average project turnaround time is 2-3 weeks. Whether you're seeking a covered patio to relax under or a canopy to protect your automobile from the sun, call Aluminum City today. Our business is licensed, bonded, and insured, and we provide free on-site estimates and consultations for our Clairemont customers. Aluminum City is an authorized dealer for Four Seasons Building Products. We rely exclusively on their line of structural aluminum products when our Clairemont customers seek solid top, lattice/pergola, or insulated patio covers, sunrooms, or carports. Their products automatically come with a Lifetime Limited Warranty. They can offer such an impressive warranty because they use the thickest aluminum materials, bake on a primer prior to applying paint, and set the bar for fabrication and construction. At Aluminum City, we provide our Clairemont clients with a wide range of choices for their patio covers. Available in six different colors, our patio covers come with a smooth or wood grain finish. You can choose between four different cuts (bevel cut, corbel cut, scalloped cut, and miter cut) and various column thicknesses (standard, square Roman, and round Roman). We build patio covers with solid tops, lattice/pergola tops, or combination tops (solid and lattice), all dependent on your preference and the purpose for which you are building your covered patio. All of our solid top patio covers come with built-in gutters with spouts for water control. Furthermore, these decorative patio covers are extremely low maintenance; there is no need to worry about termites, rotting, rusting, or flaking. Patio covers help to dissipate heat away from your Clairemont business or home, ensuring years of easy enjoyment to come. In addition to solid top patio covers, we also design, build, and install lattice patio covers in Clairemont. 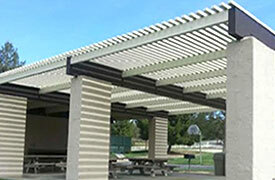 Durable, lightweight, and virtually maintenance-free, our pergola patio covers can be a beautiful addition to any Clairemont residence or commercial business. They provide sun protection and shade, and can be built in many different styles (color, finish, cut, column thickness) to complement the appearance of your Clairemont property and personal aesthetic preferences. Aluminum City builds insulated patio covers, which are 3-4 inches thick and filled with polystyrene foam for energy efficiency. This insulated patio cover can be built alone or with a room underneath, as part of a California room enclosure (which comes with 4-inch thick insulated walls, dual-panelled windows, and the option for regular, sliding glass, or French doors) to enclose or extend an outdoor patio. 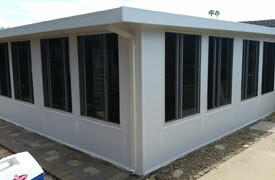 Both our insulated patio covers and rooms can be installed with ceiling fans and/or lights. All covers are also built with gutters and spouts to divert rainwater. Our company always stays in compliance with city codes and makes sure to acquire any required permits when necessary. At Aluminum City, we've built all kinds of car canopies (or carports) for residential and commercial clients throughout San Diego. These canopies can be free-standing or surface-mounted, and have been built to accommodate one car or up to 100 cars. To start planning your carport installation in Clairmont, we'll want to come out to your property and look over the site where you want your car canopy installed. 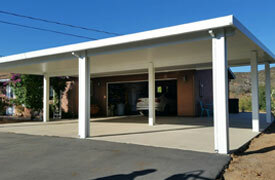 We'll discuss with you your carport needs and available options, and come up with a fitting design. 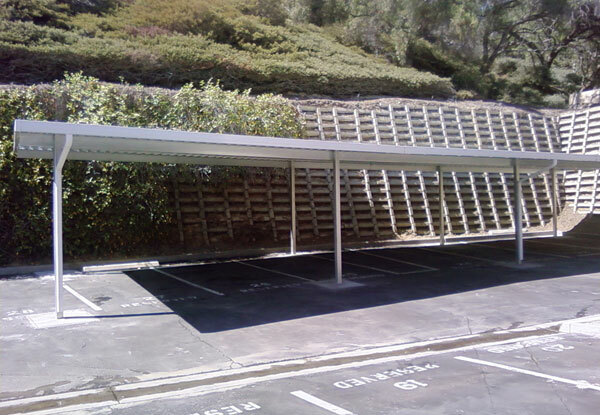 Our carports are all built with a solid top, ensuring maximum protection from the sun and elements. At Aluminum City, we always build every car canopy to code, and can help acquire permits, if necessary. 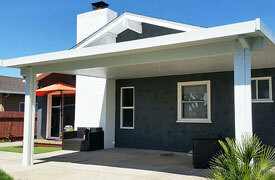 We provide custom-made window awnings and door hoods for our Clairemont clients. 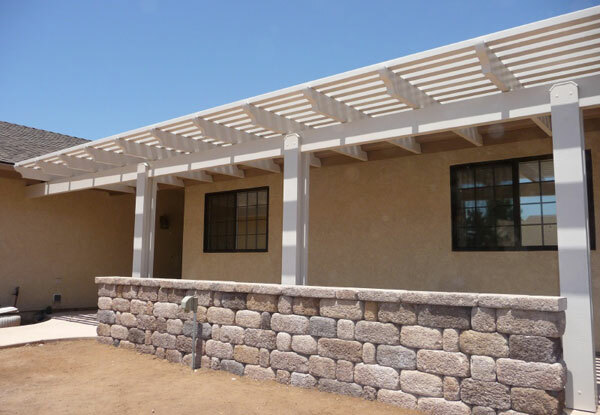 Made of solid panels slatted at a 45 degree angle, they are manufactured locally at a San Diego machine shop and constructed to be a perfect fit for your residential or commercial structure. 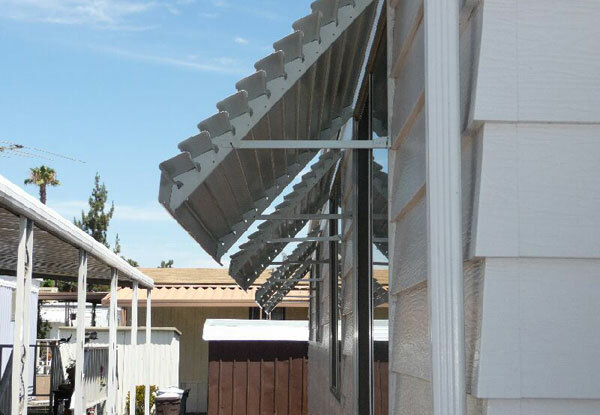 We've installed awnings and door hoods for office buildings, retirement homes, restaurants, Navy bases, border patrol offices, police departments, and single-family homes throughout San Diego, including in Clairemont. You can choose between twenty different colors, and our window awnings are designed to have a classic look that won't go out-of-date in the years to come. A low-maintenance and cost-effective alternative to window and door coverings made out of fabric, our aluminum awnings and door hoods are highly functional and built to last for a minimum of forty years. Red, Robert, and Ed were wonderful. Honest, prompt, and hard-working. Our patio cover ended up beautiful and the price was incredible. We would definitely recommend the team at Aluminum City! 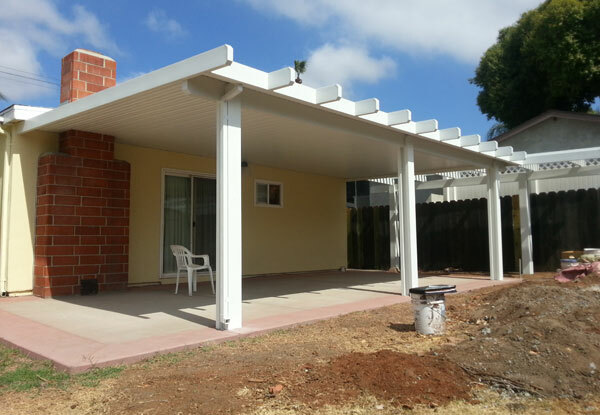 This patio cover installation in Clairemont, CA is made out of all aluminum and features miter cut end tails, wrapped posts, wrapped fascia, and an embossed wood grain finish.